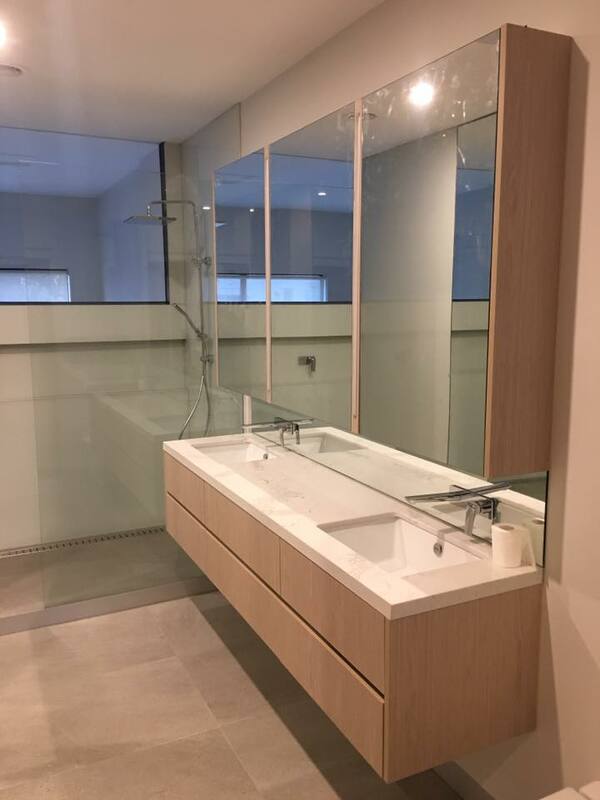 We offer the best looks on the market for your bathroom renovation, and are experts in working with timber, glass, stone and glass to produce a room that is functional and stylish all at once. 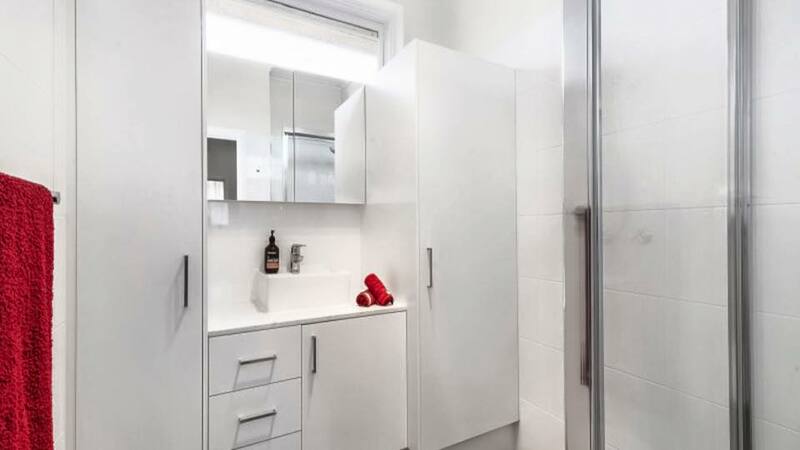 For the most professional cabinet and joinery bathroom service in Melbourne, there's only one place to go and that's Click Clack Cabinets. Marble stone looks great with timber as this counter proves, and provides a soft, subtle balance to the bathroom. Marble is easy to care for and keep clean, and makes it easy to play around with different tile patterns and colours and sinks. Plus, the space in the cabinets makes storing all your supplies so straightforward. 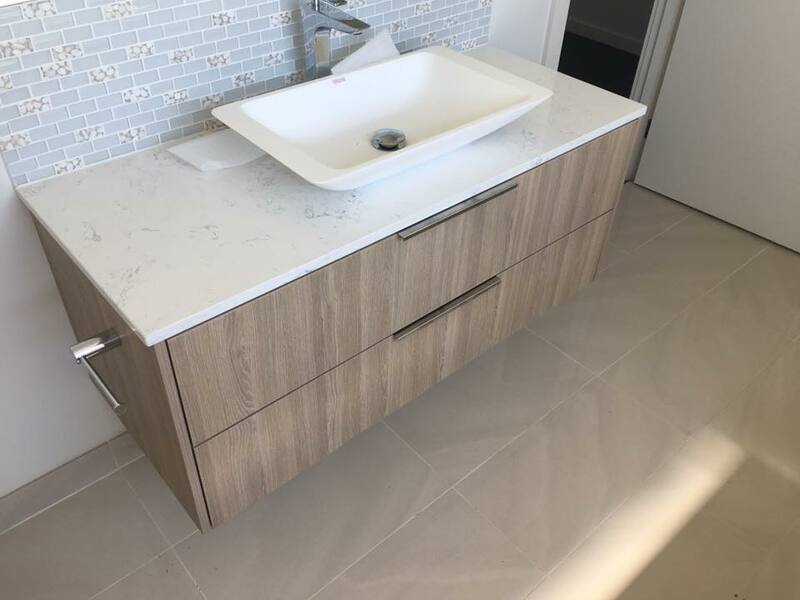 This dual sink bench layout perfectly hides the piping underneath and the cabinet drawers and mirror draws allow for convenient storage solutions perfect for those needing to share their bathroom space with others. The marble top reflects really well from the mirror splashback and complements shower glass and most tiles. This timber is a bit lighter and matches marble very well and can be used to continue a theme or style you have going in the other rooms of your home. If you're for an all-white finish, we have lots of options and cabinet solutions for you to play around with. White reflects really well of glass and windows, and hightlights the other colours and materials in the room. The combination of cabinet layouts under the sink, behind the mirror and closets are limitless. In this example the client has chosen some metallic handles that feature very nicely, especially against all that white, though another option is to choose push-to-open cabinets for even another layer of convenience.